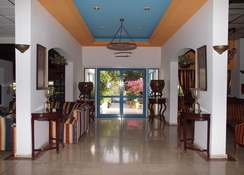 The popular Paphiessa Hotel & Apartments is a family run complex that is ideal for those looking for a simple yet enjoyable holiday on the stunning island of Cyprus. The hotel is set in a residential area and is within touching distance of bars, restaurants and glorious beaches. The on-site restaurant serves up a delicious array of dishes and the rooms are tastefully designed to deliver a comfortable and relaxing stay. Outside is where guests will find the stunning pools and sun terrace enabling guests to slip into the holiday mode where they can unwind. If guests venture out of the Paphiessa Hotel & Apartments, they will be met with water sports, shopping centres and many historical sites. If beaches are your thing, then this is the ideal hotel for you because there are many beaches located in the area. There are water sports on offer including snorkelling, jet skis and windsurfing but for those who love water parks, then the Aphrodite Water Park doesn’t disappoint. Just as short walk away, guests are met with an impressive choice of restaurants and lively bars that are suitable for all. If guests are seeking out a fun-filled holiday with plenty of choice then this is a hotel that is perfectly located. The hotel is 15km from the airport. The hotel boasts a range of beautifully decorated rooms that come as single rooms, double rooms and apartments. The rooms provide plenty of comfort and space as well as a range of features that guarantee guests have an enjoyable stay. All rooms come with an en-suite bathroom, air conditioning, radio, TV, telephone and a private balcony. If guests opt for an apartment then they can take advantage of a fully-equipped kitchenette, offering guests the freedom to create their own holiday experience. For those who choose to dine at the hotel, the on-site restaurant is perfect for sampling a range of dishes served throughout the day. During the day and into the night, guests can try a refreshing beverage from the bar. However, there are many restaurants located just a few minutes away from the hotel that serve up local dishes while catering to every budget. 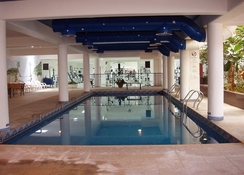 The glorious outdoor pools are ideal for adults that like to take a refreshing dip and kids who love to splash around. If that is not enough, the sun terrace with sun loungers and parasols makes it even easier to unwind. The golden sands of the local beaches are alluring and captivating, providing guests with the chance to soak up the sun and try out some of the water sports. Thrill seekers should head to the Aphrodite Water Park while there are plenty of interesting historical sites to try out. Staff are very friendly & helpful. Comfortable, clean accommodation. Good base for travelling to Polis, Latchi & Troodos, or for relaxing & catching some well earned 'rays'! Well situated for Paphos Mall & Faros beach.